Sydney was invited by ‘Kids Need Both Parents’ to the Birmingham City v Nottingham Forest match after his son Russell nominated him for the ‘Grandparents Day’ competition. 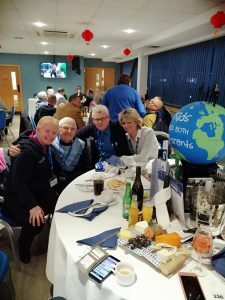 Sydney and his family enjoyed the hospitality in the Jasper Carrot Suite. The match was very exciting with Jota scoring first, and then Che Adams stepped up for a penalty and scored! The match finished 2-0 to the Blues! Sydney spent 8 years running the Birmingham Boys League. Sydney was featured in the programme when he broke his arm watching the Blues in Bruges. He watched them in pain before returning back home. His stoic attitude was ‘I have came to watch the football, and I will stay and watch the football, even though I have broken my arm’! 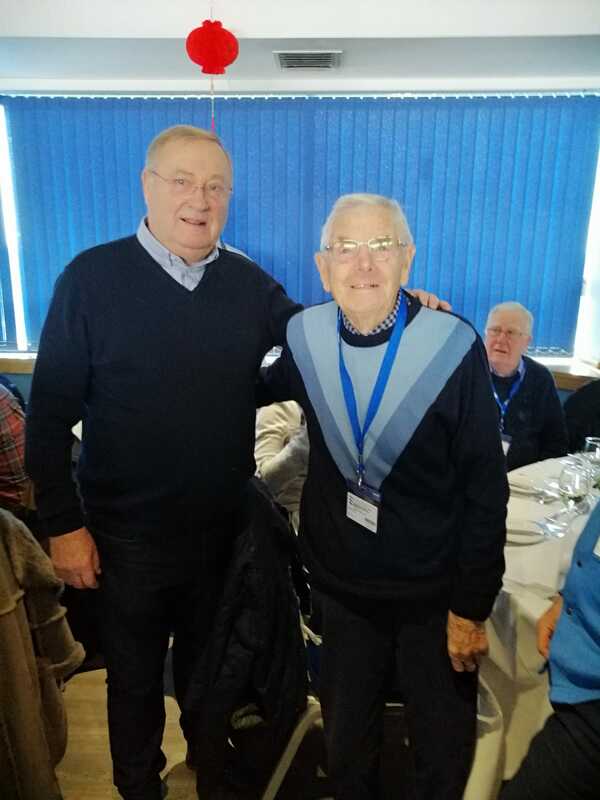 Sydney still manages to go to the odd game with his son Neil who lives in London, but he was delighted to meet Jimmy Greenhoff on the day and hear him reminisce about the ‘good old days’. 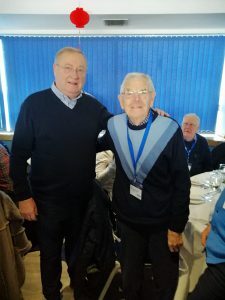 Sydney has been a Bluenose all of his life and he recently celebrated his 93rd Birthday! 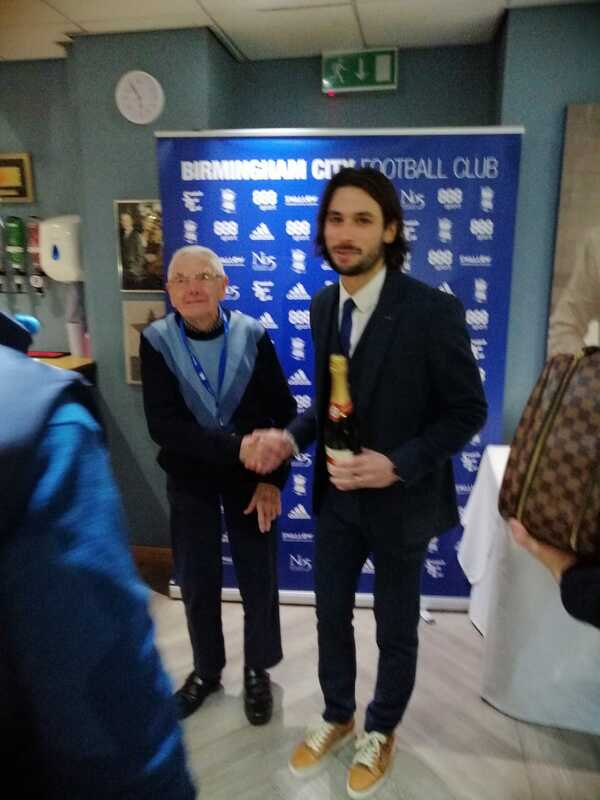 Sydney was invited to present the ‘Man of the Match’ Jota with a bottle of champagne.